21/11/13 -- Soycomplex: Beans rallied on continued evidence of very strong nearby demand, Weekly export sales for bean came in at almost 1.4 MMT, well ahead of trade expectations of 6-800 TMT Cumulative sales are now 90% of the USDA's target for the entire season, one which we are only 2 1/2 months into. Sales this time a year ago were running at 74% of the USDA target and the 5 year average is 65%. This week's soybean shipments were huge at 2,488,600 MT, of which China took 1,926,100 MT. This is the third week in a row of shipments in excess of 2 MMT - something which has never happened before. That appears to contradict bear speculation that a lot of these existing sales are "protection" against possible supply disruptions from South America later in the season. Brazil is said to have assured China that there won't be a repeat of this year's delays in 2014. Even if they can cope with the logistics of handling another potentially record crop (which is doubtful - they struggled with the last one), there may not be much they can do about the almost inevitable dock/truck workers strikes. Dr Cordonnier notes that soybean planting in Brazil's top producing state of Mato Grosso was very concentrated around a short period, and that therefore a concentrated harvest effort is also likely. A lack of on-farm storage means that growers there are already attempting to contract trucks to move their beans in the second half of Jan/first half of Feb period, he says. There's a little bit of excitement following the news that Brazil has issued a state of national emergency this week for areas of Mato Grosso regarding the invasion of a particularly destructive infestation of Helicoverpa caterpillars. Chinese customs data shows that they imported 4.19 MMT of soybeans in October, a 3.9% rise versus a year ago. Meal export sales were below expectations of 150-350 TMT at 116 TMT, whilst oil sales beat trade forecasts coming in at almost 96 TMT. Jan 14 Soybeans closed at $12.91 1/2, up 17 3/4 cents; Mar 14 Soybeans closed at $12.79 3/4, up 15 1/2 cents; Dec 13 Soybean Meal closed at $411.00, up $4.00; Dec 13 Soybean Oil closed at 41.54, up 122 points. Corn: The corn market closed higher, aided by export sales of 945,100 MT versus trade expectations of 600-800 TMT. There's also support from ideas that corn is simply cheap relative to wheat. South Korea's MFG cancelled a tender to import feed wheat, which was priced up at around $300 C&F. They bought Black Sea corn at less than $240 C&F earlier in the week, and US corn at not much more. US ethanol prices are trending higher (the Dec 13 future closed above $2.00 for the first time since June tonight), and production margins there are said to be very attractive with corn at not much more than $4/bushel. US ethanol production last week was 904,000 barrels per day, up 11.5% compared to the same week last year. DDGS values continue to trade at firm levels which is helping margins as well. This week's export sales included 321,600 MT to China and shipments of 756,300 MT saw China (339,700 MT) as the top home. This was the biggest weekly shipment total (apart from end 2012/13 and start 2013/14 adjustments) since May 2012. Shipments to China do need to pick up, Chinese customs data shows that the country only imported 39 TMT of corn in October, a 91% decline on October 2012. The USDA estimate China's 2013/14 corn imports at 7.0 MMT. That's up from 2.7 MMT in 2012/13. There's speculation that the eventual corn planted area in both Brazil and Argentina will prove to be significantly lower than current official forecasts. This is due to a combination of low corn prices and weather-related planting delays in Argentina. The Ukraine corn harvest is 87% done at 26.13 MMT, with yields averaging 6.2 MT/ha. They remain aggressive sellers and active shippers. The Ukraine Farm Association said that the country exported 2 MMT of corn in the Nov 1-12 period. APK Inform said that Ukraine exported 412 TMT of corn to Egypt alone in the the Nov 1-15 period. Dec 13 Corn closed at $4.23, up 6 cents; Mar 14 Corn closed at $4.29 1/2, up 4 1/4 cents. Wheat: The wheat market couldn't manage to replicate gains in corn and soybeans, closing narrowly mixed. Talk of consumers shying away from wheat, as indicated by South Korea's MFG cancelling a feed wheat tender due to prices being around a $60/tonne premium to corn, weighs on upside potential unless corn can rally from here. India is flexing its muscles again on the export front. Another state-owned firm, MMTC, announced a tender for 55 TMT of wheat for Dec 22-Jan 25 shipment out of the west coast port of Paypavav. They were confirmed to have sold 50 TMT of wheat to Bangladesh. Further tenders are said to be in the pipeline. An Egyptian official indicated that French wheat prices were too high in their latest tender, and suggested that around 750 TMT of Black Sea wheat was available to the government from local private traders, in what looks like a fairly transparent bluff. Russia appears to mostly only have low grade wheat for sale, and it looks like Ukraine has already shipped most of it's exportable surplus. Likewise Romania. The IGC reported that the differential between feed and milling wheat FOB the Black Sea is now around $30/tonne. Lebanon managed to pick up 20 TMT of Romanian milling wheat at $316.60 C&F for December delivery, their second such purchase in the past few days. Chinese customs data shows that they imported an impressive 1.3 MMT a wheat in October, a 273% increase on the same period in 2012. Concerns for production potential for Australia and Argentina are also helping to support the market. Although output from both should be up on last year, production in Australia now looks like it might only be around 24.0-24.5 MMT versus some early season estimates that were in the 26.5-28.5 MMT region. Argentina's crop may be closer to 9 MMT than the 12 MMT that was forecast a few months ago it would seem. Japan bought it's regular combo of US/Australian and Canadian milling wheat (133,480 MT) for Dec-Feb shipment. Dec 13 CBOT Wheat closed at $6.48 3/4, up 1 1/2 cents; Dec 13 KCBT Wheat closed at $6.94 3/4, down 3/4 cent; Dec 13 MGEX Wheat closed at $6.96 1/4, down 1 1/2 cents. 21/11/13 -- EU grains closed mixed, but mostly a tad higher with Nov 13 London wheat ending up GBP0.75/tonne firmer at GBP164.25/tonne and Jan 14 Paris milling wheat settling EUR01.25/tonne steadier to close at EUR204.00/tonne. Feb 14 Paris rapeseed jumped EUR5.25/tonne to EUR379.00/tonne, whilst Jan 14 Paris corn closed EUR3.50/tonne higher at EUR177.50/tonne. The market continues to meander sideways. Fresh news is thin on the ground. Sellers are relaxed that French and German wheat in particular will find the market coming to them from now one, even if Egypt did manage to unearth a couple of cargoes of Russian wheat to satisfy their demand this week. The Egyptians say that French offers were too high and that they will look elsewhere, domestically even, for their requirements between now and their 2014 harvest - but what else would you expect them to say? Buyers on the other hand point to much cheaper corn values, and the recent re-emergence of India back on the wheat export market. South Korea's MFG passed on a tender to import feed wheat, based on a cheapest offer of $300/tonne C&F versus corn priced around %60/tonne beneath those levels. India sold 50 TMT of wheat to Bangladesh in a tender. Their state-owned MMTC offered 55 TMT of what for sale out of the west coast port of Paypavav for Dec 22-Jan 25 shipment. That's on top of the volume offered by another government backed company PEC yesterday and their well-supported tender to sell 340 TMT of wheat that closed on Monday. Lebanon bought 20 TMT of milling wheat from Romania today, their second such purchase in a week. Ukraine's corn harvest is now 87% complete at over 26 MMT, with yields averaging 6.2 MT/ha, according to the local Ministry. Their total grain harvest is now at 59.7 MMT off 96% of the planned area. They'd only harvested 44.3 MMT of grain this time last year. APK Inform say that Ukraine exported 550 TMT of grain to Egypt in the Nov 1-15 period alone, including 138 TMT of wheat and 412 TMT of corn, as they step up purchases of the latter. The Ukraine Farmers Association say that Nov 1-12 corn exports were 2 MMT, and that the country could export more than 4 MMT of grains this month. The Russian Grain Union estimated the clean weight harvest there at 89 MMT, up 25.5% on last year. They see the 2013/14 exportable surplus at 25 MMT versus the less than 16 MMT exported in 2012/13. Whilst EU wheat exports continue to run at record levels that are well ahead of a year ago, and with supplies of good quality milling wheat running low out of the east/FSU, then the market will remain supported even with corn offered at a significant discount. 21/11/13 -- Rapemeal prices on the continent are a bit firmer on the nears and unchanged on the forwards today (unlike here in the UK where they are a lot firmer on the nears). 20/11/13 -- Soycomplex: There wasn't a lot of direction today, with funds estimated to have been light sellers of around 1,000 lots each on beans and meal during the session. Physical demand for both remains strong, Vietnam bought 240 TMT of meal for Apr/Jun shipment in a tender today, but it was Argentine origin that they purchased, not US material. South Korea bought 30,000 MT of Indian/Chinese meal for Jan shipment, along with 40,000 MT of Argentine meal for Feb shipment. We will get a clue as to how well demand is holding up for US beans and meal with tomorrow's weekly export sales from the USDA. These are expected to come in at around 600-800 TMT for beans and 150-350 TMT on meal. Lanworth trimmed their forecast for the US 2013 soybean crop to 3.264 billion bushels from a previous estimate of 3.287 billion. They cut the 2013/14 world crop from 290 MMT to 289 MMT. The President of the Argentine Sunflower Association forecast sunseed plantings there for 2013/14 at 1.36-1.48 million ha versus the USDA's 1.65 million. Using the USDA's yield projection that would cut the crop to around 2.5-2.7 MMT. At it's peak fifteen years ago the country was harvesting in excess of 7 MMT of sunflower seed, but government taxes now make the crop far less viable, he said. Jan 14 Soybeans closed at $12.73 3/4, down 2 1/2 cents; Mar 14 Soybeans closed at $12.64 1/4, unchanged; Dec 13 Soybean Meal closed at $407.00, down $1.90; Dec 13 Soybean Oil closed at 40.32, up 33 points. Corn: The corn market finished around a cent lower amidst light fund selling (net an estimated 2,000 lots on the day). Lanworth estimated the US 2013 corn crop at 13.911 billion bushels versus a previous estimate of 13.944 billion. However, they pegged the 2013/14 global corn crop at 963.0 MMT versus a previous estimate of 958.0 MMT. China's 2014/15 corn crop was forecast at a record 220 MMT. The Rosario Grains Exchange estimated Argentina’s 2013/14 corn area at 3.87 million hectares, down 12% from 4.4 million last season. South Korea bought 121 TMT of US corn for Apr/May shipment at around $240 C&F, along with a slightly cheaper 63 TMT parcel of Black Sea corn ($237.68 C&F). The IGC estimated China's 2013/14 corn imports at 7.0 MMT versus 3.7 MMT last season. Customs data shows that Japan imported 1.185 MMT of corn in September, up 5% on a year previously. Imports from the US only accounted for 55% of that, versus 73% in September 2012. Japan's September corn in feed usage was 41.8% versus 42.5% a year previously. Weekly US ethanol production came in at 904,000 barrels/day, down 23,000 bpd from the previous week. UkrAgroConsult estimated Russia's corn crop at 11 MMT versus 10.2 MMT previously. They see exports at 3.3 MMT versus 1.9 MMT in 2012/13 and the USDA's current 2.5 MMT. Trade estimates for tomorrow's weekly export sales report for corn are around 600-800 TMT. Dec 13 Corn closed at $4.17, down 3/4 cent; Mar 14 Corn closed at $4.25 1/4, down 1 cent. Wheat: Wheat also ended generally marginally lower on the day. The USDA reported a private sale of 110 TMT of US SRW wheat to Egypt for 2013/14 delivery. Whilst there's been no confirmation yet from India that they've accepted any of the bids in their wheat tender that closed Monday, state-owned firm PEC issued another tender to export 155 TMT of wheat by Jan 25. There are trade reports that the Indians may look to release around 2 MMT of wheat onto the world market in the Jan/Mar period. Lanworth estimated the global wheat crop at 707.0 MMT, unchanged from their previous forecast. The Rosario Grains Exchange estimated Argentina’s 2013/14 wheat crop at 9.1 MMT, up from the 2012/13 crop of 8.7 MMT, but at the lower end of trade forecasts. The IGC estimated China’s 2013/14 wheat imports at 7.2 MMT versus 3.3 MMT in 2012/13 and the current USDA forecast of 8.5 MMT. Frost in the east and rain/hail in the west may have taken the top off the Australian wheat crop. A Reuters poll estimated that at 24.0 MMT, compared to last month's survey forecast of 25.3 MMT, although that's still a better result than the 22.1 MMT harvested in 2012/13. Jordan cancelled a tender to buy 100 TMT of wheat. Trade estimates for tomorrow's weekly export sales for wheat are around 300-500 TMT. Dec 13 CBOT Wheat closed at $6.47 1/4, down 3 cents Dec 13 KCBT Wheat closed at $6.95 1/2, down 3 cents; Dec 13 MGEX Wheat closed at $6.97 3/4, unchanged. 20/11/13 -- EU grains closed mixed, with Nov 13 London wheat ending down GBP0.50tonne at GBP163.50/tonne, Jan 14 Paris wheat finishing EUR1.75/tonne firmer at EUR205.50/tonne, Jan 14 Paris corn EUR1.25/tonne steadier at EUR174.00/tonne, whilst Feb 14 Paris rapeseed rose EUR1.50/tonne to close at EUR373.75/tonne. The sideways pattern that has prevailed for several weeks now still remains, with fresh news relatively limited. Demand for EU wheat is good, but the failure at yesterday's Egyptian tender is a reminder that other sellers are still out there. A weaker euro helped Paris grains gain versus London wheat today. India is one of them. There are reports today that they sold 50 TMT of wheat to Bangladesh for Dec shipment, and that enthused by the good response to their weekend wheat tended that they intend to offload a further 2 MMT of their surplus wheat stocks onto the market in Q1 of 2014. There are reports of hail/rain damage to wheat in Western Australia. Nationally the wheat harvest is said to be around 25% done. Australian Crop Forecasters cut their wheat production estimate from 24.9 MMT to 24.7 MMT. Commonwealth Bank of Australia estimated Australia’s 2013/14 wheat crop at 23.6 MMT. Output last year was 22.1 MMT. The Russian grain harvest now stands at 93.9 MMT off 94.3% of the planned area. Wheat accounts for 54 MMT of that (off 97.9%), with barley at 16.3 MMT (95.4%) and corn at 9.0 MMT (70.4%). The Russian government bought 29,160 MT of grains for their intervention fund today. That takes the total purchased so far in 2013/14 to 341,550 MT. They are supposed to be looking to purchase 2-3 MMT by the end of the year. UkrAgroConsult increased their estimate for the Russian corn crop from 10.2 MMT to 11.0 MMT. They now see exports at 3.3 MMT versus 1.9 MMT a year ago and the 2013/14 estimate of 2.5 MMT from the USDA. Ukraine meanwhile are currently exporting their record 2013/14 corn crop at the rate of 800 TMT a week, according to Agritel. Spain, South Korea and Japan are the main buyers, but Europe too is taking decent volumes. Wheat plantings in Morocco are behind schedule following a dry spell. The north of the country only picked up 13 mm of precipitation in the Sep 21-Nov 10 period versus 68 mm normally. The 14 day forecast is wetter however. They produced 7.0 MMT of wheat in 2012, up sharply from the 2012 drought-riddled crop of 3.9 MMT, slashing imports from 3.9 MMT to 2.0 MMT this year. 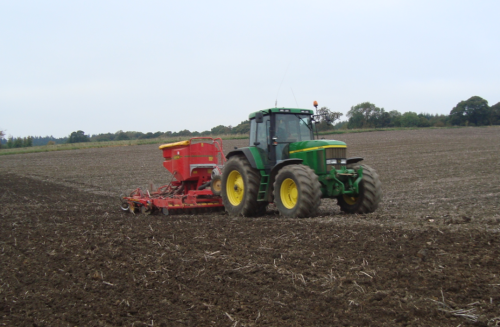 The EU will plant 3% less OSR for the 2014 harvest (at 6.5 million hectares), say Oil World. Farmers are concerned about profitability on what proved to be a difficult crop to grow in 2013, along with the likelihood of a record world soybean crop depressing global oilseed prices next year it would seem. 19/11/13 -- Soycomplex: Beans fell, despite news from the USDA reporting that US exporters had sold 240 TMT of US beans to China for 2014/15 delivery. Private estimates put China's Nov bean imports at 6.50 MMT, and those for Dec at around 7.0-7.2 MMT. Dr. Cordonnier estimated the 2013/14 Brazilian soybean crop at a record 90.0 MMT and said that about 70% of the crop has been planted. He forecast output in Argentina at 55.0 MMT, and said about 23-25% has been planted. The Argentina government are scheduled to estimate crop production on Thursday. There's been some talk that low corn prices in Brazil, and high transportation costs from the interior, may encourage some farmers in Mato Grosso state to consider planting a second soybean crop straight after harvesting early beans in Jan/Feb. That would obviously be bearish for soybean supplies going forward, already forecast at record levels in 2014. There is however also some discussion as to whether the Brazilian government might introduce legislation banning such as move for fear it could lead to the spread of the Asian rust virus. Watch this space on that one. Jan 14 Soybeans closed at $12.76 1/4, down 11 1/4 cents; Mar 14 Soybeans closed at $12.64 1/4, down 9 cents; Dec 13 Soybean Meal closed at $408.90, down $6.90; Dec 13 Soybean Oil closed at 39.99, down 12 points - the first close below 40 cents/lb in more than 3 years. Corn: Corn closed around 5 cents higher on what simply looks like profit-taking and short-covering following declines to 39 month lows. There may also have been an element of unwinding long beans/short corn spreads. Dr Cordonnier forecast the 2013/14 Brazilian corn crop at 68.5 MMT, with output in Argentina estimated at 25.0 MMT. Both are unchanged from his previous estimates. The Russian corn harvest is 68.4% complete at 8.8 MMT. The Ukraine corn harvest is now probably closer to 90% done. The latter announced that they'd exported a record volume of corn in October, and they still have plenty of this record crop to market. Hence, Black Sea corn still remains very competitive, particularly on shorter hauls into Europe, although they've also been undercutting US corn into Asia in recent weeks. South Korea's MFG are tendering for 210,000 MT of optional origin corn for April–May shipment. Their last purchase was optional origin, but said to be most likely to be Black Sea sourced. Ukraine winter grains plantings are said to be complete, and around 500,000 ha less than originally intended. Russian winter plantings have also stalled at 14.4 million ha, some 2 million lower than initial forecasts. Much of this land is expected to go into corn in 2014. Dec 13 Corn closed at $4.17 3/4, up 5 3/4 cents; Mar 14 Corn closed at $4.26 1/4, up 5 1/4 cents. Wheat: Wheat futures closed between 2-8 cents higher on the day, garnering support from the firmer corn market. Egypt bought Russian wheat, with US origin priced out due to freight. The market is still waiting to hear what India is going to do with the bids it picked up in its recent wheat tender. US wheat is heading into winter in generally great shape. Oklahoma good/excellent conditions rose to 73% in last night's crop progress report. That's up 1 point from last week and well above the 10 year average of 51%. Kansas conditions also jumped a point to 65% good/excellent. Overall good/excellent conditions nationwide fell 2 points to 63%, dragged down by a relatively poor looking crop in Texas. The latest weather forecast calls for a strong showers this week in hard red winter wheat that would boost development, said Martell Crop Projections. "The southern jet stream would strengthen, carving out a deep trough in the Southwest United States and spinning out a wave of strong showers into the heartland. Thursday is predicted to be very wet in the Great Plains. Rainfall would range from 0.50 to 0.75 in the eastern half of Kansas and Oklahoma. The wet forecast if it verifies would sharply improve wheat development. Cool weather is expected to persist in the heartland also favouring wheat development," they said. Jordan made no purchase in a 100,000 MT barley tender. Dec 13 CBOT Wheat closed at $6.50 1/4, up 8 cents; Dec 13 KCBT Wheat closed at $6.99, up 5 cents; Dec 13 MGEX Wheat closed at $6.97 3/4, up 2 1/2 cents. 19/11/13 -- EU grains closed mixed, but mostly lower, yet still range-bound. Egypt (or was it Russia) surprised the market by picking up a cheapest offer for 120 TMT of Russian wheat for Dec 11-20 delivery in their tender, when everyone was expecting a French clean sweep. The session ended with Nov 13 London wheat down GBP0.50/tonne to GBP164.00/tonne, Jan 14 Paris wheat EUR0.25/tonne weaker at EUR203.75/tonne, Jan 14 Paris corn unchanged at EUR172.75/tonne and Feb 14 Paris rapeseed down EUR5.25/tonne at EUR372.25/tonne. The outcome of the Egyptian tender was a surprise, and shook market confidence a little in that EU wheat - and particularly that from France - now more or less has free rein on purchase orders from North Africa for the remainder of 2013/14. Whilst French wheat dominated the bidding, it was two cargoes of Russian wheat priced at USD305.66/tonne including freight that won the day. Other news was very thin on the ground today. The Russian grain harvest is winding down at 94.1% complete, producing a crop of 93.6 MMT to date. That includes 54 MMT of wheat off 97.9 % of plan. Russian winter grains plantings remain stalled at 14.4 million hectares versus 15.8 million in 2012 and the government's original target of 16.4 million. The Russian Ministry announced today that they had bought 29,970 MT of wheat for the intervention fund. Total purchases now stand at 312,390 MT, of which 278,785 MT is wheat. Ukraine farmers have managed to sow 7.73 million hectares of winter grains, including 6.3 million of wheat, according to UkrAgroConsult. That's down 4.1% from a year ago. The original target was around 8.2 million hectares. 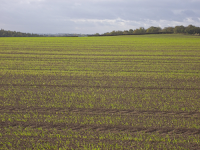 "While that means a decline of 353,000 hectares of winter wheat year on year, many investors had expected a far bigger decline after persistent rains and cold hampered early seeding progress in many areas," said Agrimoney.com. The Ukraine Ministry said that 95% of winter sowings had emerged, and that 91% of crops were in good to satisfactory condition. The Ukraine Ministry also said that the country had exported a record volume of corn last month, at 1.3 MMT. The top homes were South Korea and Egypt. They are now around 85% through their 2013 corn harvest. Cheap supplies of world, and Black Sea corn in particular, are seen keeping a lid on any potential rallies in UK wheat. The outlook for a much better, and maybe even record, UK wheat crop in 2014 is also an upside limiting factor. Libya are said to have bought German wheat on Friday. EU wheat sales are already well advance versus 2012, and comfortably on track to meet expectations for record exports in 2013/14. 19/11/13 -- Rapemeal prices on the continent are unchanged on the nears, and mostly a little firmer further forward today. 18/11/13 -- Soycomplex: Beans resumed their winning ways, despite receiving no help whatsoever from corn. Weekly soybean export inspections topped expectations of 65-76 million bushels, coming in at 87.809 million and exceeding 80 million for a fourth week in a row. It's this very strong front end demand that's supporting the market. Argentine farmers meanwhile continue to "hoard" beans as a hedge against inflation. The Rosario Grain Exchange said that Argentine growers still hold 13 MMT of unsold soybeans from the 2012/13 harvest, and have only forward sold 2 MMT of their anticipated 2013/14 production, which is around half of what they had sold last year at this time and a third of the 5-year average. Advanced sales of Brazil's 2013/14 soybean crop meanwhile are also well behind year ago levels. Safras e Mercado estimated that farmers there had committed only 33% of their crop, up a meagre one percentage point in an entire month, and versus 48% this time last year. AgRural said Friday that Brazil has 69% of it's 2013/14 soybeans planted versus 59% a week ago, 67% a year ago and the five year average of 72%. Argentine plantings are said to be in line with normal at 21.8%. Brazil has apparently told China that soybean shipments will flow much easier in 2014 than they did earlier this year. We wish them luck with that promise. Oil World estimated the 2013/14 global soybean crop at 286.5 MMT versus a previous forecast of 281.3 MMT and up 7.2% on the 2012/13 crop of 267.3 MMT. After the close the USDA said that the US 2013 soybean harvest was up 4 points at 95% complete, in line with expectations although marginally behind 96% normally. Jan 14 Soybeans closed at $12.87 1/2, up 7 cents; Mar 14 Soybeans closed at $12.73 1/4, up 7 1/2 cents; Dec 13 Soybean Meal closed at $415.80, up $5.30; Dec 13 Soybean Oil closed at 40.11, down 36 points. Friday's EPA announcement sees oil happily resuming the role of the weakest leg of the trilogy. Corn: Bad news is just stacking up for a corn market that crashed to new lows, and with Dec 13 ending at levels not seen on a front month since August 2010, on what looks like a market playing catch-up with Friday's EPA announcement (which was only issued shortly before the end of trade). The timing of that could not have been worse, coming right as a record high US corn harvest is winding up. Reports that China had rejected a cargo of US corn after it was found to contain a non-permitted GMO strain was also bearish on a market that is looking to the Far East to take an increasing chunk of this record crop off it's hands. Reuters reported that the shipment contained Syngenta AG's Agrisure Viptera corn, also known as MIR 162. China is known to have struck a deal with Ukraine to take 2 MMT of corn this season, and is also a buyer of Argentine corn and has recently approved Brazilian corn for import, so clearly the US no longer has this market all to itself. South Korea's Nofi was said to have bought 136 TMT of US corn for April shipment. South Korea's MFG bought 113 TMT of optional origin, said to most like be from the Black Sea, corn for April shipment. Dow Jones reported that buyers here are now 50% covered for April. Iran is said to have bought 35 TMT of Black Sea corn. Safras e Mercado estimated the 2013/14 Brazilian corn crop at 75.2 MMT. That's down from a previous estimate of 77.2 MMT, but still well above the USDA's estimate of 70.0 MMT, although a decline on their 2012/13 record crop of 82.1 MMT. The Argentine crop is said to be 40% planted versus 54% a year ago at this time. Weekly US export inspections of 30.76 million bushels were in line with trade forecasts of 26-32 million. After the close the USDA said that the 2013 US corn harvest was now 91% complete, up from 84% a week ago and at the top end of expectations. Fund selling in CBOT corn was estimated at around 12,000 contracts on the day. Dec 13 Corn closed at $4.12, down 10 cents; Mar 14 Corn closed at $4.21, down 9 1/2 cents. Wheat: A wheat market that is trying to keep it's head above water, as corn sinks, closed around 1 to 4 cents lower on the day with Kansas wheat again displaying the most weakness. The reason for that is winter wheat in the US being in far better condition than it was a year ago, and amongst the top 25% on record. After the close the USDA did not issue a planting progress report for winter wheat (it was said to be 95% done last week), suggesting that they now regard sowings as complete. They estimated good/excellent conditions at 63%, almost double the 34% of a year ago, even if that was down 2 points on last week. They said that 89% of the crop is emerged versus 85% for the 5-year average. South Korea flour mills bought 47,200 MT of US milling wheat for March shipment. Other than that the tender line-up is not leaning towards much business heading the way of the US. India are back in the market to sell wheat, and picked up numerous bids at anywhere from $260 to over $286 on an FOB basis. It remains to be seen which ones, if any, get booked and how low the government are prepared to go at this stage. Their revised stated minimum is $260, but it's unlikely that they will feel the need to capitulate to those levels just yet. Egypt's supplies minister said that they have enough wheat to supply their needs through to March. Regardless of that they did however issue a late tender for wheat for Dec 11-20 shipment. French wheat has to be the hot favourite to win that. Canadian wheat was said to be the lowest offer in an Iraqi tender to import wheat that closed on Sunday. The cheapest Canadian offer was said to have undercut the best US price by almost $25 on a CIFFO basis. Iran said that they'd imported 4.76 MMT of grains in the Mar-Oct period, a fall of 42% versus the same period in 2012. Of that total 1.64 MMT was wheat, a 53% decline. Dec 13 CBOT Wheat closed at $6.42 1/4, down 2 1/4 cents; Dec 13 KCBT Wheat closed at $6.94, down 4 1/4 cents; Dec 13 MGEX Wheat closed at $6.95 1/4, down 1 1/2 cents. 18/11/13 -- EU grains closed mostly a little lower, although Nov 13 London wheat ended GBP0.50/tonne firmer at GBP164.50/tonne, Jan 14 was down GBP0.10/tonne at GBP164.90/tonne. Nov 13 Paris milling wheat settled EUR0.50/tonne weaker to close at EUR204.00/tonne. Feb 14 Paris rapeseed fell EUR1.00/tonne to EUR377.50/tonne, whilst Jan 14 Paris corn closed EUR1.25/tonne lower at EUR172.75/tonne. Wheat prices are stuck in a narrow sideways range. Nov 13 London wheat now hasn't closed outside of GBP163-166/tonne in 21 sessions, whilst front month Paris wheat has been stuck in the EUR201-208/tonne range during this time. The strong pace of EU exports provides underlying support to the market, although the continued downwards trajectory of US corn futures remains a bearish influence. European wheat had a clean sweep in last week's Egyptian tender, albeit thanks to cheaper US wheat being at a freight disadvantage. EU soft wheat exports are more than 50% up on year ago levels at 10 MMT already this season, and showing little sign of letting up thus far. It will be interesting therefore to see what happens with India's tender offering of up to 340 TMT of wheat, which has a closing date of today. It would seem that they picked up some decent interest, with bid prices said to be as high as USD286.20/tonne FOB, which is better than the average price of USD284.60/tonne FOB that the Egyptians paid on Thursday (although one cheeky monkey also threw in a bid at the Indian government's stated minimum price of USD260/tonne presumably just for the hell of it). Even at the best bid of USD286.20/tonne, that would still put Indian wheat in excess of USD300/tonne into Eastern Asia including freight costs, where buyers can currently pick up US corn for around USD50/tonne less than that. One South Korean buyer reported bought 113 TMT of optional origin, but thought to be Black Sea, corn today at USD240.80 C&F for April shipment. Russia said that it had exported 1.11 MMT of grains in the Nov 1-13 period, including 806 TMT of wheat, 188 TMT of corn and 98 TMT of barley. That takes their 2013/14 marketing year to date exports to 12.49 MMT, a rise of 13.3% on last year. They shipped 15.7 MMT of grains in the full season 2012/13. The Russian grain harvest now stands at 93.3 MMT off 93.9% of the planned area. That includes 53.9 MMT of wheat, off 97.8% of plan, along with 8.6 MMT of corn, off 67% of plan. They've also cut 95.2% of this year's barley crop, producing 16.3 MMT to date (all figures are before cleaning and screening). Winter plantings for 2014 appear to have stalled at around 14.4 million hectares, some 2 million less than was originally anticipated. Most of that is now likely to go into corn in the spring. Lebanon tendered for 20 TMT of wheat for December shipment, a few days after having bought a similar volume from Romania. Oil World forecast the global rapeseed at a record 67.7 MMT versus a previous estimate of 67.5 MMT, and up 6% compared to 63.9 MMT last year. The French corn harvest is only making very slow progress, and wheat planting also seems to have ground to a virtual halt (up only 3 points in the week to Nov 11 at 84%) after making great early strides. Winter wheat and barley crop conditions also fell last week, although they are still significantly better than a year ago. Even so these latest developments will want monitoring in the coming weeks. 18/11/13 -- Rapemeal prices on the continent are lower across the board today, although not fully mirroring the extent of the declines witnessed in Chicago soymeal on Friday night. 18/11/13 -- The overnight Globex grains see corn extending its losses, down 2-3 cents, with wheat up 1-2 cents and soybeans flat to up 3 cents. I was going to say with "corn extending its recent losses" but a glance at the weekly chart for Dec 13 shows it has in fact been in a downwards trend for over a year now. You could have sold Dec 13 corn short at $6.60 last July and now its below $4.20 for a loss of over 36 percent. The magnitude of losses in soybeans and meal on Friday night was something of a surprise, as the much-anticipated EPA announcement of the proposed reduction in the biofuel mandate was surely more about demand for corn than beans? Maybe the fact that the proposal was so widely expected means that the bearish news for corn was already factored in? That still doesn't explain the steep decline in beans and meal though, especially given the very strong demand for both that has been witnessed in recent months. Does that mean that beans and meal are a buy? Probably, yes. At least for the Nov/Jan position, I'd say. Watching the news last night (a headline on Twitter this morning "Deadly Tornadoes Hit US Midwest" was wrongly read by a still half asleep me as "Deadly Tomatoes Hit US Midwest"), I wondered if that might have much effect on the market this morning, but it would seem not. The US harvest should be pretty much over for corn and beans. Last week the USDA said that the corn harvest was 84% complete and the bean harvest 91% done, I guess we can expect figures of around 90% and 95% in tonight's crop progress update. Following last week's wheat purchase, Egypt says that it now has enough wheat bought to last it until the beginning of March - they normally begin their own wheat harvest in April. Lebanon are tendering for 20 TMT of wheat, having bought a similar volume of Romanian origin wheat late last week. Incidentally I was in Durham over the weekend, and the Big Issue seller there is a Romanian gypsy. She's a sizable "lady" - one who I think it's fair to say collided with all the branches of the ugly tree on the way down, and then decided to climb back up to the top and enjoy the experience all over again. Anyway, she cornered me and said in a rather threatening tone "Big Issue" - I don't think she got my witty Scouse humour when I immediately replied "Bless you" and sauntered off on my way. It made my day anyway even it it did nothing to brighten hers up. The Russian harvest is now 93.9% done at 93.3 MMT as of Friday. Has anyone else noticed that these two numbers are converging? I think that they've already decided that they will announce a 100 MMT harvest this year. Wheat accounts for 53.9 MMT off 97.8% of the plan, and barley 16.3 MMT off 95.2% of plan. The corn harvest is 67% done at 8.6 MMT and they've also harvested 76.4% of the sunflower crop, producing 8.7 MMT to date. Russian winter grain plantings seem to have stalled at around the 14.4 million hectare mark, some 2 million less than they would have liked. South Korea have bought 47,200 MT of US milling wheat for March shipment in a tender. 15/11/13 -- Soycomplex: Beans and meal slumped to their lowest levels since the release of the November WASDE report in what looks like a knee-jerk reaction to the EPA announcement that it is proposing to lower the biofuel blending requirement in 2014. Whilst the news would mainly affect demand for corn-based ethanol, it would also lower the target for so-called advanced biofuels (produced from soyoil) to 2.0 billion gallons from 2.51 billion. Another reason being cited for today's sharp decline is chatter that China may end up cancelling some US soybean purchases in Q1 and Q2 of 2014 as South American beans come online. There's a suggestion that some of these purchases are "protection" against possible shipping delays once a deluge of new crop beans hits the ports in Brazil and Argentina, and may ultimately not be needed. For now, nobody seems to be thinking about the possibility that record production in Brazil could also equal record queues at the ports, particularly in the run up to the 2014 World Cup. Today's weekly export sales report was a little disappointing, showing bean sales of 848,500 MT for 2013/14 (plus 60,600 MT for 2014/15) versus trade expectations of around 800 TMT to 1.2 MMT. These were the lowest since late September, but still a very respectable total which easily beat the level required to hit the USDA target for the season which is less than 100 TMT/week - such has been the ferocity of early demand. Meal sales of 283,200 MT for 2013/14 shipment fall into the same category, below the 400 TMT expected, but far higher than the 76,400 MT needed to achieve the USDA goal for the season. The UK was a buyer of 20,600 MT of this week's meal sales incidentally. Strong international demand for US beans and meal, is mirrored in the domestic market, with the NOPA crush for October coming in at a record high for the month - 157.1 million bushels - which was 3.1 million more than the market anticipated - and the expected crush of 154 million bushels would have been the largest monthly grind since 2009. I'm hearing China is expected to import around 14 MMT of soybeans in Nov and Dec combined, some 4 MMT more than in the same period a year ago, and most of that will be coming from the US. Informa estimated US soybean plantings for 2014 at 83.81 million acres, down slightly from the 83.9 million forecast previously, but almost 10% higher than the estimated 76.5 million planted this year. Meanwhile, the Argentine soybean crop is 21.8% planted, according to the Buenos Aires Grain Exchange. That's around the same level as a year ago, and up from 10.8% a week ago. Brazil is well advanced with planting an anticipated record soybean area. Jan 14 Soybeans closed at $12.80 1/2, down 33 cents; Mar 14 Soybeans closed at $12.65 3/4, down 31 3/4 cents; Dec 13 Soybean Meal closed at $410.50, down $14.10; Dec 13 Soybean Oil closed at 40.47, down 50 points. For the week that puts Jan 14 beans 15 1/2 cents lower, with meal down $11.80 and oil gaining 24 points. Corn: The corn market shed around 4-6 cents, and has closed lower for the past four sessions since its little post-WASDE rally staged last Friday and this Monday. We are now only 1 1/2 cents away from being back to where we'd fallen to prior to that report - the more than 3 year low of $4.20 1/2 set a week last Thursday. The EPA announced that it wants to cut the biofuels mandate, established by 2007 law, that 18.15 billion gallons of fuel from renewable sources must be included in fuel sold in the US (mainly utilising corn-based ethanol) to 15.21 billion next year. As far as ethanol is concerned this would cut the annual blending requirement to around 12.7-13.2 billion gallons. The existing law currently mandates that 14.4 billion gallons be blended into gasoline in the US next year. Using an extraction rate of around 2.8 gallons/bushel this potentially cuts the minimum required level of corn used for ethanol production in 2014 from 5.143 billion bushels to between 4.535-4.714 billion. The proposal is still subject to a 60-day public comment period, and would still need to be approved by the White House. It should also be noted that these are the minimum required levels, there is nothing to prevent ethanol companies producing more, and thereby utilising a greater volume of corn. The CEO of ADM apparently recently noted that the industry produced 14 billion gallons back in 2011 even though the mandate was only 12.8 billion. Whichever way you look at it thought, the news isn't bullish, especially when viewed against the backdrop of a huge increase in US corn production to record levels in 2013. Weekly export sales for corn beat trade estimates of around 700 TMT to 1 MMT, coming in at 1.2 MMT. Mexico (301,400 MT) and Japan (226,800 MT) were the largest buyers, although China (115,700 MT) also featured. Reuters carried a story saying that Chinese corn prices on the Dalian Exchange are currently running at around a $150/tonne (circa 40%) premium to those in the US. That's up from around the $115-120/tonne level of a year ago, which should stimulate strong imports going forward, it said. The Russian corn harvest is 66% complete at 8.5 MMT. The Ukraine corn harvest is 83% done at 24.87 MMT. Both are in line for record output in 2013, and expected to increase plantings significantly again in 2014. Informa said that US growers will plant 91.55 million acres of corn in 2014, down slightly from their previous forecast of 91.7 million, and down almost 4% from the 95.3 million that was said to have been planted this year. The Buenos Aires Grain Exchange said that the Argentine corn crop is making slow progress at 42% planted versus 38.8% a week ago. Dec 13 Corn closed at $4.22, down 4 1/2 cents; Mar 14 Corn closed at $4.30 1/2, down 6 cents. For the week that means Dec 13 corn lost 4 3/4 cents. Wheat: Wheat was lower on the day, and lower for the week on all three exchanges. For Minneapolis wheat this was the lowest close on a front month in more than 3 years. Weekly export sales were disappointing at 287,800 MT, versus the expected/hoped for 300-600 TMT, and there was no sign of Brazil in the line-up. "The drop-off in export demand has been severe over the last month and helps justify the recent price move," said Benson Quinn Commodities. The current price structure in the market clearly encourages US farmers to plant more wheat and soybeans for the 2014 harvest, and less corn. Informa increased their forecast for the US all wheat area for next year's harvest from the 57.7 million acres estimated last month to 58.1 million today. That's a 1.9 million, or 3.4%, rise versus the area sown for this year. The Russian grain harvest is 93.8% done at 93.2 MMT in bunker weight. This includes 53.9 MMT of wheat, off 97.8% of the planned area, along with 16.3 MMT of barley, off 95.1% of plan. The Ukraine grain harvest is 95% done at 58.2 MMT as of Nov 13. The Ukraine PM today raised his forecast for production this year to a new record 61 MMT, up 32% on last year. The Buenos Aires Grain Exchange said that the Argentine wheat harvest 6.9% complete versus 3.6% a week ago and 14.5% a year ago. They held their 2013/14 wheat crop estimate unchanged at 10.35 MMT. The Argentine Ag Ministry came in much lower at 8.8 MMT, the same level that they suggested and subsequently withdrew as being from incomplete data a few weeks ago. It may be that they are looking to justify an export ban not too far down the line. The latest Commitment of Traders data for the period to Nov 12 shows managed money having a change of heart and swiftly re-establishing, and building on, a fresh short position in Chicago wheat. They are now net short 47,251 contracts. FranceAgriMer said that 84% of the French winter wheat crop is now sown (about the same as a year ago). Maturity is advanced with 74% of the crop "lifting" versus 51% a year ago. They say that 18% of the crop is at the early tillering stage compared to only 4% at this date in 2012. 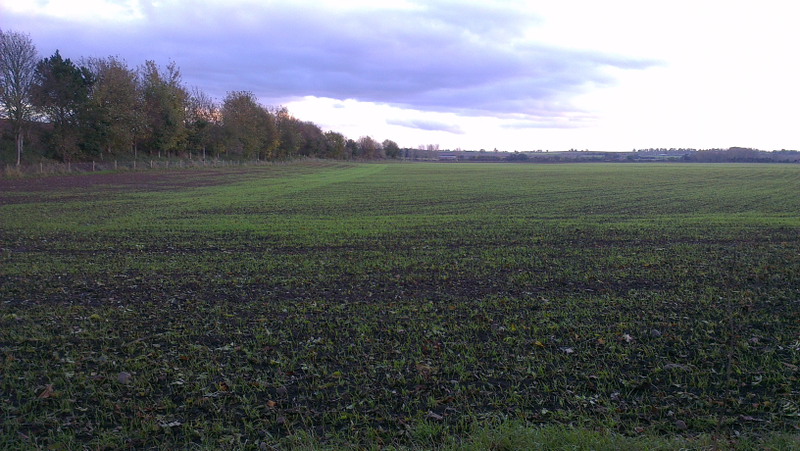 Winter barley is 97% sown, in line with last year. 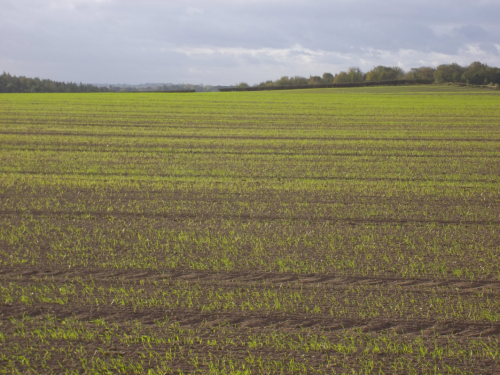 They say that 92% of the crop is "lifting" (versus 73% a year ago) and that 36% of the crop is at the early tillering stage compared to 7% in 2012 at this time. Winter wheat rated good/very good fell from 91% last week to 87%, although that's still much better than 76% a year ago. Winter barley good/very good also fell, from 88% to 85%, although again that compares favourably with 76% in 2012 at this time. Dec 13 CBOT Wheat closed at $6.44 1/2, down 1/4 cent; Dec 13 KCBT Wheat closed at $6.98 1/4, down 4 3/4 cents; Dec 13 MGEX Wheat closed at $6.96 3/4, down 3 1/4 cents. For the week that puts Chicago wheat 5 1/4 cents lower, with Kansas wheat down 10 1/4 cents and Minneapolis falling 11 1/4 cents.